April is Women’s Eye Health Month! Everyone knows that a mother has eyes in the back of her head. But as you age, it’s important to keep the eyes in the front sharp and focused as well. As you age, you become susceptible to a condition called macular degeneration, where the macula (the inner lining of the eye behind the retina) thins or, in extreme cases, bleeds. It’s scary to think that blindness is a threat to older women’s health, but it doesn’t have to happen to you. Age-related macular degeneration, or ARMD, is the leading cause of blindness in people over fifty. It can cause a loss of central vision, resulting in an inability to see fine details, or to read. Ten percent of people between the ages of 66 and 74 show evidence of macular degeneration, and this figure increases to 30% for those over 75. What are the risk factors? And what preventative measures can you take? You can’t stop age or change your genes, but there are other things you can do to safeguard against AMRD. Make sure you’re getting sufficient exercise — this will improve your cardiovascular health and blood pressure. Nutritional help is also available from lutein and zeaxanthin. These two compounds absorb blue light (they look yellow or orange-red), and concentrations of each are found in the macula. The current theory is that they help to protect against HEV damage by absorbing the harmful rays. 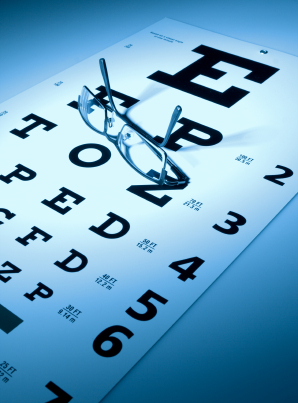 There is also a growing body of evidence that lutein and zeaxanthin can protect your eyes from forming cataracts. If you don’t have enough lutein and zeaxanthin in your diet (they occur naturally in green, leafy foods), or if you have a genetic predisposition to this condition, it is wise to supplement. Women’s health should include good eyesight in those years when there’s finally time to relax and enjoy it!